If you’re deciding where to go at Easter with the kids, spring trips and Easter sun holidays can be great value in many destinations. At this time of year many destinations are yet to enter their peak season but the weather is warm, meaning prices are reasonable and there’s a wider availability of accommodation – even if you decide to plan something fairly last-minute. You can secure your flights up to 11 months in advance for the best availability and pricing, so you can work backwards from Easter to begin thinking about your trip. 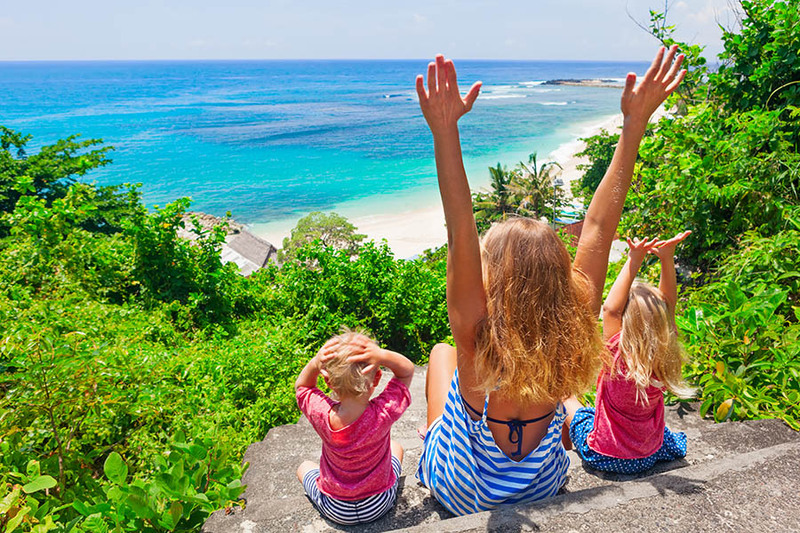 If you have less time to plan, we can always find a trip to suit you, so for more Easter or spring-time family trip ideas, contact us on +44 1273320580 or request a quote by email. Late March, April and May are all excellent months to visit many of our favourite destinations. 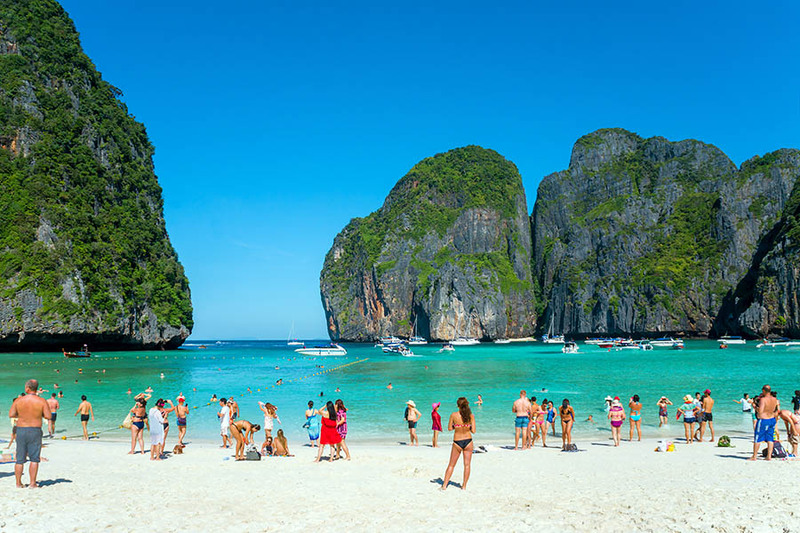 In many places like Indonesia, Thailand and Vietnam you can catch some fantastic hot weather and since March/April marks the beginning of the low season, accommodation is more affordable. Although this is peak season - spring time in Japan is the best time to see the cherry blossoms that bloom and carpet the country. For a total change of scenery, a jungle adventure in Borneo makes an exciting getaway over Easter. Kids will be wide-eyed and on the edge of their seats as you cruise through the leafy jungle along the Kinabatangan River listening for wild monkeys swinging through the branches and trying to look out for rare pygmy elephants on the banks. For an even more close-up experience, we recommend a visit to the orangutan rescue centre at Sepilok and a trip to see the sun bears as Travel Nation’s Grainne discovered with her family. 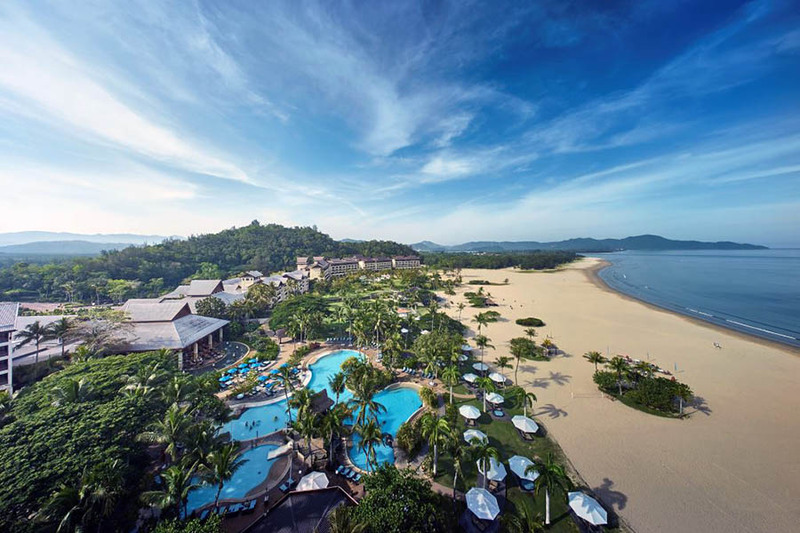 Borneo has plenty of idyllic beaches and accommodation here ranges from budget to luxury. It’s ideal if you’re on a tight budget but it’s also easy to treat yourselves to a luxurious upgrade for all or part of your stay. 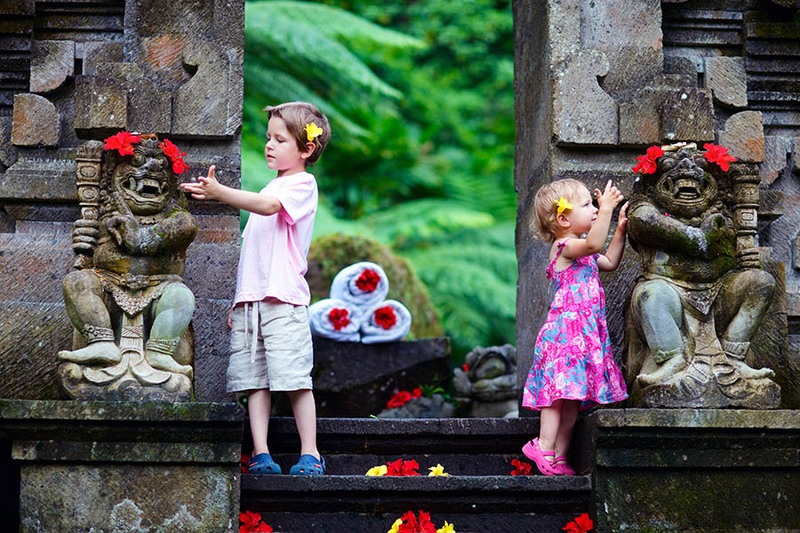 Indonesia is one of our favourite spring-time destinations with reliably warm weather. The island of Bali in Indonesia is always a top choice with families opting for villas with pools or traditional rice barn accommodation. 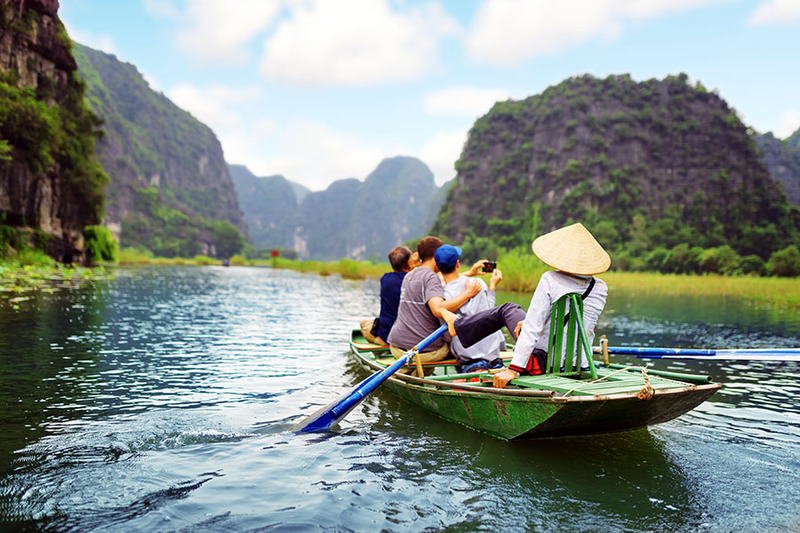 It’s affordable and easy to get around and explore the temples, rice paddies, local markets and beaches as Travel Nation's Jim discovered with his family. 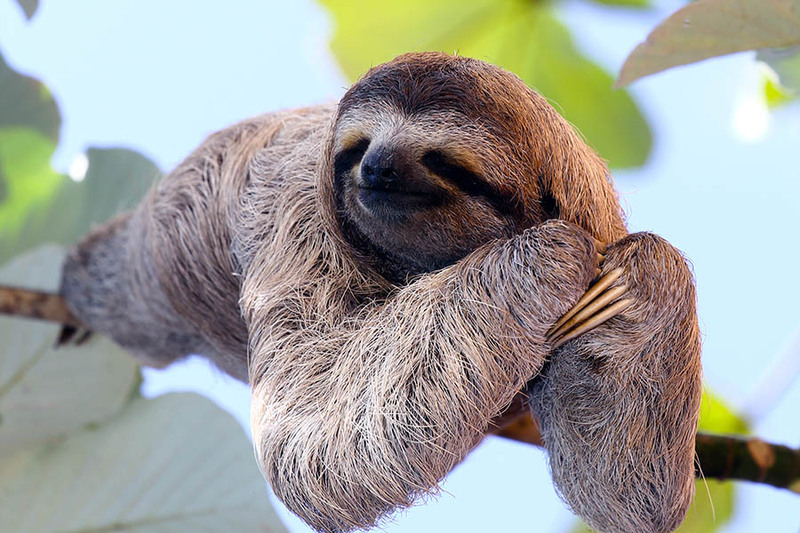 Kids will love swimming with sea turtles, getting up close to the cheeky monkeys at the Monkey Forest, riding around in a horse-drawn cart in nearby car-free Gili Islands and discovering a new favourite drink – coconut water straight from the coconut. 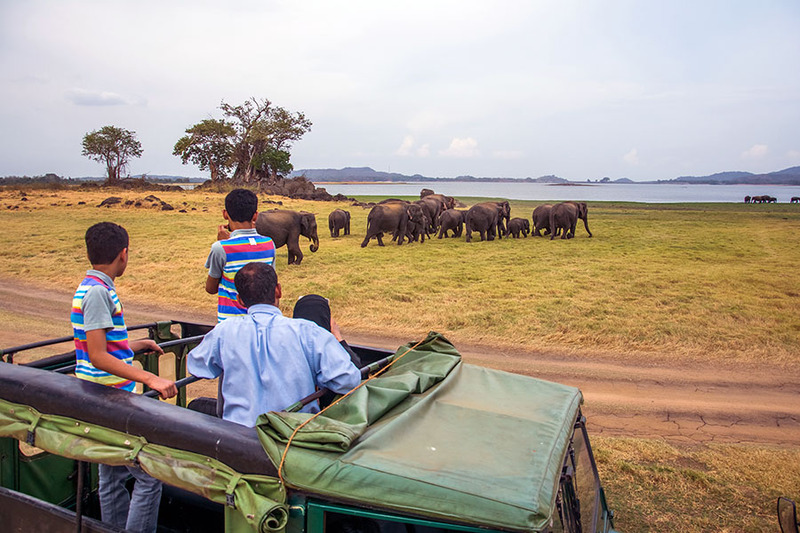 If you’re interested in combining wildlife and beaches, we also recommend Sri Lanka as a great value Easter destination, especially since the flights are much better value over Easter than in summer or winter as Travel Nation's Jonny discovered when he took his own family. It’s both sunny and it’s inexpensive and adventurous kids will enjoy tasting some of the delicious local curries. From our experience, they also get a kick out of hopping on a local train and experiencing everyday life as hawkers offer street food snacks like roti, bread or exotic fruits. We can arrange boutique or luxury accommodation and we recommend arranging a car and driver to help you explore – for examples if you want to take a safari or visit a tea plantation. One of our most popular destinations, South Africa is a great year-round destination that’s ideal for your spring or autumn getaway. Take the kids to Boulders Beach just outside Cape Town so they can watch hundreds of little penguins just strolling around on the beach! And if you follow the Garden Route east towards Hermanus, you’ll be able to spot whales in the ocean from your vantage point on the beach – no boats requires. South Africa is of course popular for safaris and for families, we recommend the Eastern Cape. Here you’ll be well placed to spot the ‘Big 5’ (lion, elephant, rhino, leopard and buffalo) on a safe, malaria-free safari as Travel Nation's Andrea discovered with her 5 year old. South Africa offers even more bonuses; the favourable exchange rate means it’s amazingly good value to eat out, it’s only 2 hours ahead of the UK so you won’t experience much jet lag either. Don’t be fooled into thinking that Namibia is difficult to explore, because actually - it’s an ideal road trip destination for families during the spring, with t-shirt weather and lower rainfall than in January and February. 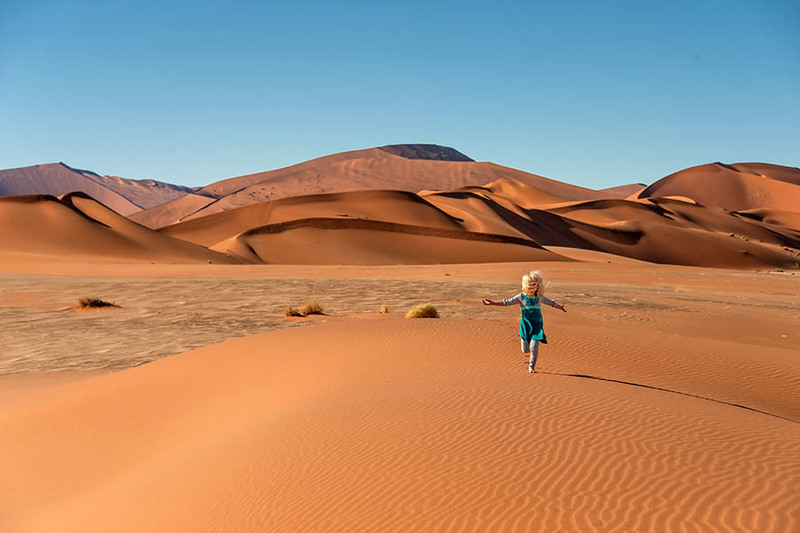 A great-value destination, Namibia will wow your kids with experiences you just can’t find elsewhere as Travel Nation’s Grainne discovered. Imagine seeing the towering, deep-red Sossusvlei (sand dunes) or driving through Etosha National Park seeing unfazed lions drinking at a water hole or giraffes wandering nearby. If your family revels in life on the road, let us arrange for a campervan, and if not – there is a good range of hotel and lodge accommodation if you choose to travel by car. Off the back of her own trip, Travel Nation's Milly has plenty of advice on the finest hotels in Namibia if you’re looking to add a dash of luxury to the trip. If you can plan an extended break over Easter, consider adding Australia into the agenda. For the months of March to May, we recommend east coast Australia, particularly the Gold Coast and the stretch between Brisbane and Cairns and the islands of the Great Barrier Reef. If you’re looking for action, why not take the kids kayaking through the pretty Noosa Everglades or let us arrange for a 4WD tour over the world’s largest sand island – Fraser Island. The beaches are enticing at this time of year and the Gold Coast hinterland is warm at this time of year and it’s a great spot for a family road trip. Interested in booking an Easter sun family holiday? If you’d like to plan a spring time or Easter trip for the family - talk to our friendly experts. We'll offer ideas for the best destinations, the most family-friendly ways to travel and for the best flight itineraries, all tailor-made to suit you. Id there are any specific Easter travel deals available, we'll tell you about those too! Simply call us on +44 1273320580 or request a quote by email for help to plan your best family holiday yet.